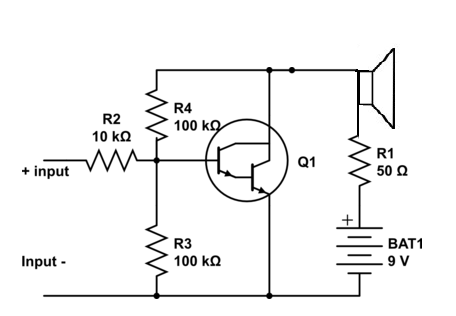 1 watt audio amplifier shown below is very simple and easy to make. You can use this in making pocket amplifier for your mp3 player. It can fit in small mactch box size box.